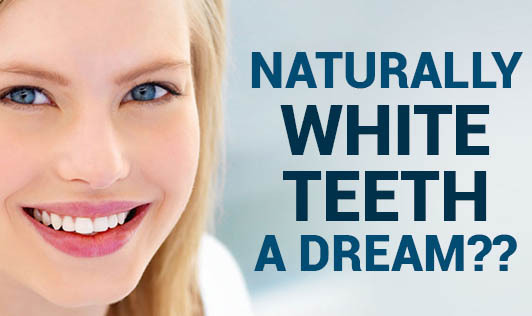 Naturally White Teeth - A Dream?? Here's the simple solution to whiten teeth naturally. Hydrogen peroxide ranks up there as one of the best household remedies. Where do you buy the hydrogen peroxide from? Consult your dentist for the quantity of hydrogen peroxide that is suitable for you. Cheers to that new bright smile!